Riba (ربا) is an Arabic word means an excess, increase or addition. In Shariah terminology it implies to any excess compensation without due consideration. Technically it means an increase over principal amount in a loan transaction or in exchange for commodity accrued to owner (lender) without giving an equivalent counter-value or recompense, in return to the other party; every increase which is without an equal counter-value. Similarly interest pronounce the same connotation as Interest means giving and /or taking of any excess amount in exchange of a loan or on debt. Hence, it carries the same meaning/value as that of Riba. It is narrated “the loan that draws interest is Riba"
Therefore, it is clear that interest is prohibited as it leads to injustices (zulm) and Islam designed its teachings and principles in a way that it is against all forms of injustices and exploitations. Islam supplicates an economic system, which aims at securing extensive socio-economic justice. The Islamic law of prohibition of riba, which includes interest, was originally not based on economic theory but on Divine Authority, which considers the charging of interest as an act of injustice. What philosophy HHRD uphold for Esaar Microfinance? HHRD learnt through program implementation that both Islamic Finance and Microfinance share many common goals and characteristics like risk sharing, welfare of the people, promoting entrepreneurship, and striving for economic justice. It brings multi benefits for the people in disasters and suffering. It has the potential to improve the economy and to be socially responsible by helping people who are in desperate need of financial assistance. HHRD upholds Islamic approach of microfinance emphasize on microenterprise development through financial and non-financial assistance adhering to the principles of transparency, brotherhood and cooperation. At the same time, HHRD is committed to develop sustainable program with diversified Islamic financial products and services to cater the dynamic needs of people at various regions. HHRD considered development is all about giving choices and alternatives. Poverty alleviation efforts cannot be effective and having desired impact unless all or at least majority of the poor is reached. Microfinance alone would not solve the problem of the poverty-complex. In addition to livelihood problems, persons struggling with poverty also have to face other challenges. Economic livelihood alone will not enable the poor to develop their full human potential and their communities. HHRD has identified microfinance as strategic program component for its strategic plan. Going with the dimensions of development interventions, microfinance is and will be integrated into overall programming development framework and strategies to augment the programming outreach with optimizing sustained benefits for instance promoting health knowledge through microfinance interventions and vice versa. 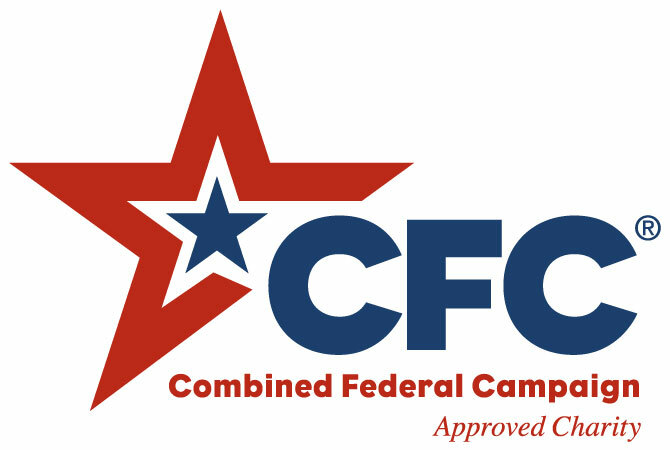 MFC holds regular meetings to review program progress and provides strategic guidelines. Additionally, HHRD has fully equipped head office based in Islamabad, which provides all strategic, operational, and logistic support and guidelines to its staff at different regions. The uniqueness about HHRD operational mechanism is its Branchless structure at grass root level. The Branchless structure reduces overhead costs; it is evident from that last year that 90% amount spent on programs & beneficiaries, and only minimal amount of 4% was spent on administrative expenses. HHRD’s implementation strategy is unique in the sense that it has adopted one of the remarkable models, which focus on individual’s self-accountability and trust, although it has well defined mechanism for employee performance evaluation, yet it focuses on generating self-accountability, trust and transparency. Implementation strategy adopted by HHRD is based on two aspects, firstly branchless/office less and home-based approach is adopted in which Microfinance Facilitation Officers worked from their homes. They are on HHRD’s payroll. They are provided with all essential accessories included laptop, USB data traveler, internet USB, mobile phone and digital camera to perform their work effectively and efficiently from anywhere. Secondly HHRD works in partnership with local organizations called Implementing Partner/Agent of HHRD. At grass root level, community participation is ensured through formation of community organizations (COs) and working closely with local partners. Microfinance Facilitation Officer (MFO) supports COs and local partners in identification, selection, appraisal and disbursement of interest free finance to potential people. Finally yet importantly, MFOs ensured proper monitoring for proper utilization of micro financing. In response to devastating earthquake in 2005, HHRD realized that people not only need immediate relief and rehabilitation interventions but also require long term development programs so that they can build their destroyed homes, reestablish their vanished livelihoods & businesses. The realization resulted in initiation of Interest Free Microfinance (IFMF). IFMF based on long term development intervention to support people through provision of interest free micro financing. HHRD started interest-free microfinance intervention in earthquake affected areas of district Mansehra , Batagram and Hatian Bala (AJK) in 2006. Unlike other conventional microfinance programme, HHRD started its microfinance program in disasters prone areas where the situation on the ground is both dire and chaotic; yet HHRD up to the mark with a commitment to help people in suffering and the resilience & dedication of microfinance programme is high since its inception and MFOs surmount these challenges. HHRD believes that emergency and relief efforts are short-term interventions that provide humanitarian assistance. On the other hand; Microfinance interventions within Shariah boundaries has profound impact in building sustainable income generation opportunities for poor people. In July 2009, HHRD in collaboration with Riphah Centre of Islamic Business organized two days international conference on Islamic Microfinance to explore emerging concepts for poverty alleviation and economic empowerment in developing countries through Islamic microfinance. Distinguished scholars and field experts from Bangladesh, Indonesia, Pakistan, Saudi Arabia, Turkey and USA participated in the conference and shared their views on theoretical and operational issues with the emerging concept of Islamic Microfinance institutions. In 2010, after five years of successful implementation of microfinance interventions at earthquake affected areas and international conference’s learning resulted in development of inclusive programme i.e. Microfinance and Economic Empowerment Program (MEEP). Since the incitation of microfinance interventions in earthquake affected areas, programme has successfully replicated its interventions in other parts of the country mainly disasters affected areas such as Swat, Bunair, Dir and Malakand. 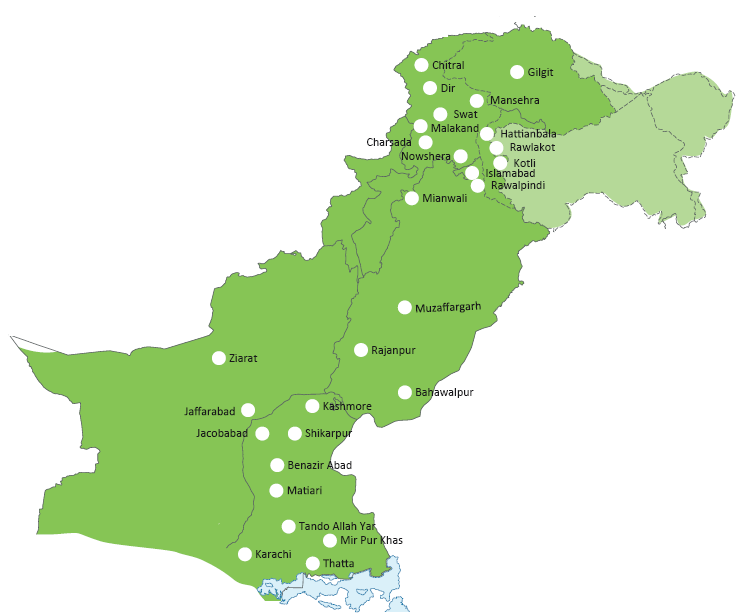 More recently MEEP is expanded severely flood affected districts; namely Swat, Charsada, Nowshera, Mianwali, Muzaffargarh, Shikarpur, Kashmor, Rajanpur, Jaffarabad , Jackobabad and Thatta. HHRD has vision to make MEEP a flagship program having presence in all program areas and integration of microfinance interventions with others relief and development program. It also targeted to benefit 5,000 families through MEEP before the end of 2011. HHRD initiated its Interest free microfinance program in disasters hit areas therefore HHRD adopted conservative approach (in pilot years of program implementation) to expansion and carefully implemented the programs due to which outreach is minimal however once the program methodology is successfully tested; HHRD launch a full scale program in 2010. At present, more than 14,000 families have been benefited in Punjab, KPK Baluchistan, Sindh, and AJK until September 2011. HHRD has targeted to benefit 5000 families for the year 2015. 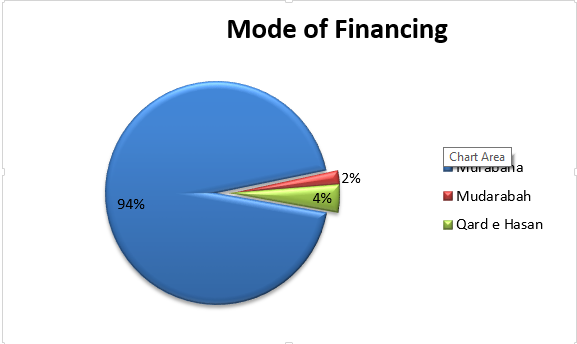 HHRD focused on gradually moving towards formal true mode of financing i.e. Mudarbah and Murabahah. The product wise disbursement reflects the HHRD’s philosophy of helping poor in disaster situations as circumstances support Qard e Hasna products rather Mudarbah and Murabahah. HHRD has well designed and comprehensive strategy for identification of potential beneficiaries. At the initial stage, HHRD conducts socio-economic baseline survey in the target areas to gather data regarding family size, education, sources of income/ expenditure and assets owned by the family. Once the profile is developed based on survey data this poverty profile is used to identify the potential beneficiary. 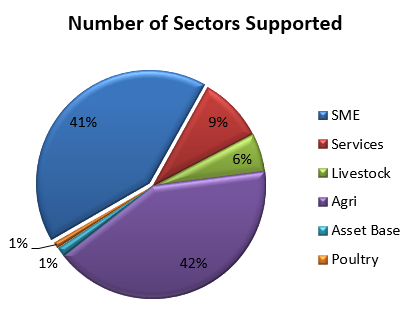 At later stages MFOs support COs and local partners to identify the potential beneficiaries. MFOs also help them to do social, economic and environment appraisal of beneficiary and beneficiary’s enterprise. The participation of COs and local partners ensure identification of potential beneficiary. HHRD believes that individuals, group, or organizations plays significant role to fight against poverty and to make the World a better living place for all. HHRD alone cannot eradicate poverty and win fight against social injustice. It requires support and help from individual, group, or organizations to make a World where every individual has access to basic needs and has equal opportunity to prosper. Any individual, group, or organization sensitize HHRD’s mission and values can help through offering in-kind or cash support. They can also help in volunteering their time and efforts for enhancing HHRD capabilities to respond to disasters and formulation of effective policies and procedures for beneficiaries and staff. HHRD encourages constructive criticism from all as it believes that it make HHRD to go to new level of strategic programming. HHRD has well established system to maintain transparent record of every transaction. Well-established chartered accountancy firm audit HHRD accounts on annual basis. HHRD has accredited by Pakistan Center for Philanthropy, which is an independent organization given mandate by the Government of Pakistan. HHRD maintained separate donor’s accounts as per their reporting format. At present, ICNA Relief and HH-USA is major donor for Microfinance and economic empowerment program (MEEP). Microfinance Facilitation Officers (MFOs) focus potential beneficiary’s appraisal on 5 Cs Principle: Character, Capacity, Capital, Collateral and Conditions. Once MFOs appraised the potentials beneficiaries, HHRD head office staff do further assessment and cross verifications. HHRD present a remarkable and innovative model of integration of three different sectors namely microfinance, Islamic finance with information technology. HHRD unique approach gives an edge to other Islamic microfinance providers as none other is applying technology as extensively as HHRD is doing to support tens of thousands of poor people across Pakistan. HHRD adopted “Branchless Banking approach” to provide Islamic financial services at the door step of poor community and also reduce cost as evident from 2010 financial report that merely 4% administrative costs incurred while total spending to programs and beneficiaries stood 90%. HHRD able to reduce overheads cost only due to effective technology usage, investing on HR and visionary leadership provided by the HHRD Leadership. Under present approach, HHRD has no branch structure at field rather every Microfinance Facilitation Officers (MFOs) work from his/her home usually based in the UCs or program area. Head Office conducts comprehensive trainings to MFOs and provides them with computer and internet facility. Head office officials collect information and review program progress on weekly basis through online database, e-mails, phone calls etc. At present, HHRD is planning to have weekly conference calls so that state of art technology will be used to support thousands of potential beneficiaries across the country. HHRD designed Financing size in order to facilitate different enterprises and need of poor people. It varies based on the nature of income generating activities or microenterprises. The average financing amount is 250 USD. These small financing amount changes the destiny of millions of the people below the poverty line. HHRDs microfinance program offered tailored made repayment schedule ascertained through a signed agreement based on ‘capacity to repay’ also linked with income generated through the commercial activity supported through microfinance. Usually installments are on monthly basis. HHRD’s Microfinance program directly contributes in achieving third strategic goal of HHRD i.e. “assist and empower the people in need.” It also addresses the thematic priority of poverty alleviation as outlined in MDGs goals and contributes in achieving MDGs goal 1 and 3 . It does so by focusing on capacity building and sustainable financing modes. Together with capacity building and skill enhancement, it provides financial services in terms of micro financing so that poor have their own sustainable source of income or strengthen their enterprises so that they can sustain unpredictable economic shocks. •	Expanding program outreach and maintain program quality for achieving operational and financial self-sustainability.